HOLD ON TO YOUR CURLS. 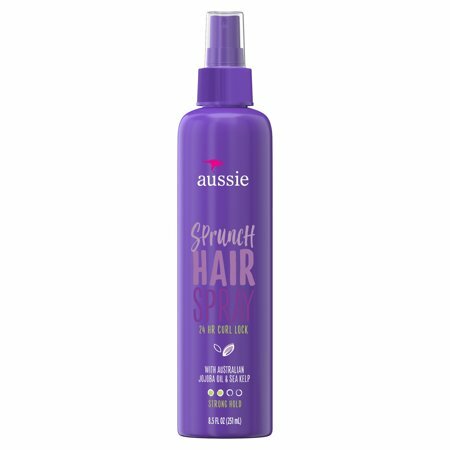 Aussie Sprunch Non-Aerosol Hairspray lets your style run wild while keeping your curls on point. 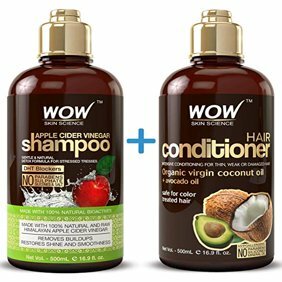 Infused with Australian jojoba oil and sea kelp, this strong-hold hairspray for curly hair locks in curls for 24 carefree hours and leaves behind a fresh ocean-kissed scent of citrus and florals. Simply spray on dry, styled hair to finish your look with a bang. Flammable. Do not use near flame or while smoking. Use only in ventilated areas. Avoid spraying in eyes. Use only as directed. Keep out of the reach of children. Ingredients: Alcohol Denat., Water/Eau, Acrylates Copolymer, Aminomethyl Propanol, Fragrance/Parfum, Potassium Hydroxide, Triethyl Citrate, Peg-12 Dimethicone, Panthenol, Aloe Barbadensis Leaf Extract, Ecklonia Radiata Extract, Simmondsia Chinensis (Jojoba) Seed Oil. Instructions: It's hairspray with a twist. Spray 8 to 10 inches away from hair to finish. Locks in curls for 24 hours., Hold Level: 1 - flexible., Flexible hold.